Nearly all gutter problems originate from poor gutter installation. These include leaks, clogged gutters and premature decay. This danger is why our team at Advantage Seamless Gutters recommends working with an expert on every gutter-related project. In this post, our team shares three things to keep in mind and what to consider when hiring a gutter company for your next project. Make it a point to research what kind of services your prospective gutter contractor offers. The last thing you want is to end up working with a company that doesn’t offer what you need. Keep in mind that the state of your gutters goes farther than just proper installation, so it’s more advantageous to work with a company that offers all gutter services. At Advantage Seamless Gutters, we are a gutter-only company that offers complete services. These include installing seamless gutters, cleaning, repair and gutter guard installation. Your gutters are in good hands when you work with us. Working with a local contractor isn’t just convenient, it’s also practical. Local gutter companies have a more in-depth knowledge of the kind of climate your community experiences. On top of that, the materials these local contractors use and the hardware they install are designed to handle your climate throughout the year. Finally, keep in mind that your choice with who to work with shouldn’t be based solely on cost alone. Working with a certain contractor might be cheaper, but the service they provide you may be cheap as well. The same thing applies to the gutters themselves. Seamless gutters are more expensive than their sectional counterparts, but they last longer, require less maintenance and are virtually immune to leaks. 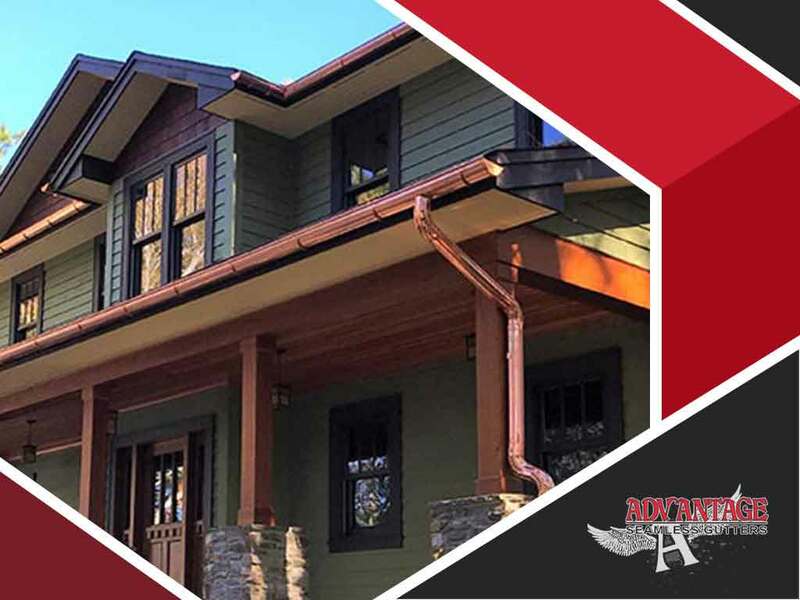 Whether you need new half round gutters or expert gutter cleaning, Advantage Seamless Gutters is the local gutter-only company to work with on your next gutter project. Baxter residents can call us at (218) 212-1818 to learn more about our services. For Crosslake and Alexandria homeowners, you can reach us at (218) 692-2663 and (320) 421-8726, respectively.